There is so much going on in the world around us. So many things pulling us in so many different directions. There are trials and sorrows and obstacles that we each have to overcome. Some times it is hard to think about all of the good stuff. But the most happiest people on the earth are those who focus on all the great things in their lives. They are grateful and appreciative for even the little things. I know that I myself need to be more focused on each little blessing. So, I made a little printable that can be used a few different ways. You could print out the page cut it apart and give each family member one and have them right 3 things that they are grateful for every day for a week. 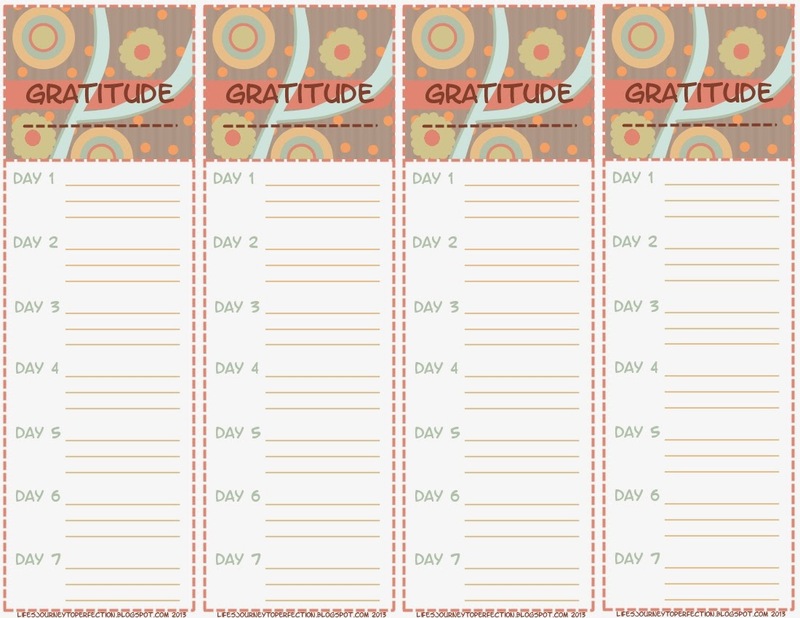 Or you can use it personally and print it out fold it accordion style into a little booklet and write the date of the week at the top and write 3 thing that you are grateful for every day for about a month (28 days). I don't think that it will be hard to come up with 3 things each day, there are so many things all around us to be grateful for. I think that at the end of the week or the month that those who do this will be happier. Think if everyone focused more on the good stuff!